Teachers! You are fantastic. I appreciate you. I value you. I deeply respect you. I would love to buy you a drink (or several). I also could use your help. See, I love subbing for you. I want to be as good sub as possible – following your plans and leaving the classroom in great shape so when you return, you don’t have to waste time backtracking or re-teaching or wishing you’d dragged yourself into school despite the positive Strep culture because omg what a disaster. But here’s the thing: subbing is, by its very nature, unpredictable. Since no two assignments are alike, I try to be prepared for anything. No matter how prepared I am, though, there are still some things that would make subbing easier. 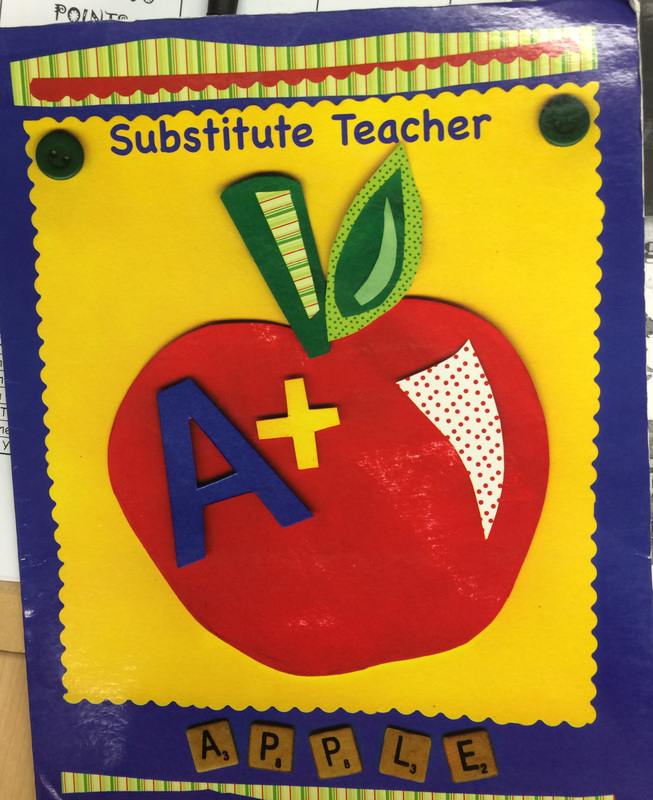 Having been a classroom teacher for nearly ten years, I know how difficult it can be to plan for a sub. There were many times when I decided it wasn’t worth it to be absent, no matter how crummy I felt or what I’d miss with my family, because leaving thorough plans and trusting someone to actually follow them was more trouble than it was worth. Planning for a sub is a pain in the rear. I get it. I know. Truly. With that said, a little help from teachers and schools can make the subbing experience go more smoothly – which makes returning to the classroom that much easier on your end! Best of all? Most of these can be done well in advance so you’re not frantically cramming even more into your sub plans. Woo-hoo! 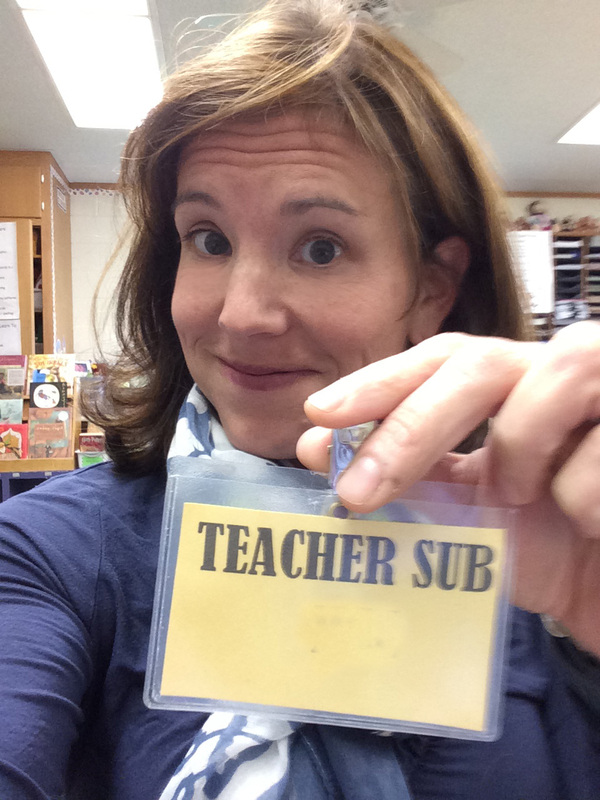 Here are 10 things you can do that would help make subbing go extra super duper well. 1. Have a sub folder in an obvious place, with the obvious information — fire drill procedure, your schedule, etc. — clearly stated. A set of emergency plans is also fantastic for those mornings when your three year-old vomits all over her sheets ten minutes before you’re due to leave for work. 2. Tell me where the bathroom is – preferably the teachers’ bathroom, although any set of working toilets would do in a pinch. Nothing says “I’m new here!” like wandering the halls of an unfamiliar school when you desperately need to take a leak during the three minutes you’ve got between classes. 2. Make sure I’ve got a class roster. A seating chart is also super helpful; I’ll either look like a fool or a jerk when kids insist that this is where they’re supposed to sit and I have no idea if they’re pulling my leg or being honest. Even if name tags are attached to desks, a class list and a chart are pretty rad – when I’m trying to determine if everyone actually turned in their reading log or am asking for volunteers from across the room, having something to reference makes things much easier. 3. If a kid’s name is difficult to pronounce or is pronounced in a non-standard way, write the phonetic spelling beside it. Yeah, when I take attendance, I can self-deprecatingly explain that, since I’m new, I may make mistakes, and I’ll ask the kiddos for clarification, but it automatically sets me back when I pronounce Carolina like the state and everyone admonishes, “It’s Car-oh-LEEna! HAHA! !” Likewise if Marco goes by his middle name or Jacob only responds to his nickname, “Mooch” (true story). Help a sister out so I look like I know what I’m talking about, at least a little. 4. What’s your bathroom/drinking fountain/nurse procedure? Do kids sign out? Is there a pass? How many students can go at one time? Is it okay to leave during silent reading or should they wait until snack? This is true for specials teachers, too… When kiddos come to you room, they seem to arrive with their bladders bursting. Do you allow them to make a mad dash for the loo? Only in emergencies? I can invent a response on the spot, but when I say, “Please wait until the quiz is over” and I’m met with an indignant, “Mr. So-and-so ALWAYS lets us go whenever we want!”, it creates tension – not to mention I have no idea if the kid is telling me the truth or punking me. 5. Tell me your magical attention-getting cue. Do you use a special clap? Ring a bell? Turn the lights on and off? Use a call-and-response phrase? (My daughters had an awesome art teacher who utilized popular commercial jingles to get her classes’ attention. They’d be art-making and the teacher would say/sing, “We! Are! Farmers!” and the whole class would say/sing back, “Bum, ba dum bum bum bum bum!”) If I know what it is, I’ll put it to good use. If not, I’m stuck whispering, “If you can hear me, touch your nose!”, using the Teacher Classic, “I’m waiting…”, or thrusting my hand in the air and announcing, “Give me five!” while they look at me quizzically. I can raise my voice with the best of ’em, but I’d rather just do whatever you do. 6. Do you have a reward/behavior system? If so, how does it work? I can do my own thing, but if you’ve got something going, I’d love to continue it. Kids dig the consistency. If there are prizes to be earned and the appropriate benchmarks are achieved, may I dole out the loot? If so, where do you keep your stash? Either way is fine, but letting me know is way helpful because I feel like a schmuck explaining to little Miss that even though she read her tenth book, I have no idea whether or not she’s allowed to visit the prize box. 7. Let me know what happens during transition times. Is there a bell? Does it ring at the end of class? The beginning? Both? Is there an end-of-day bell or signal? Do I simply let the kids out of the room whenever the clock reaches a particular time? Also, for littler ones, let me know what my role is in their transitions. Your plans say: “10:15 – 10:45, Library.” Do I drop them off? Remain with them? Will they come back on their own or should I pick them up? After recess, will someone get them or should I go to the playground? Inquiring minds want to know! 8. Fill me in on some of the peculiarities of your classroom. Do you regularly allow kids to take their work into the hall? Is food permissible? Do they often spread books on the floor to have more room to work? How strict are you about tardies? Is partner work cool or should this assignment be done solo? Is chewing gum perfectly acceptable or grounds for staying after class? These may seem almost inconsequential to you, but I promise you that as soon as I stray from your routine, the kids notice. 9. If you can, keep some extra supplies handy. I’m not talking anything extravagant, but a spare dry erase marker or two, some tissues, a few band-aids, and a bottle of hand sanitizer that contains more than fumes can be tremendously useful. 10. Tell me something about your students. If someone’s really into the guitar, let me know; we can talk Fenders. If another kid just got the cast off her arm, I’d love to hear it; I’ll be sure she can sit out during recess, if she’d like. While I don’t want to hear a whole string of negatives – I can form my own unique opinions without you trying to convince me of yours – a bit of background can be really helpful. If you’ve got one kiddo who has trouble keeping hands to herself, tell me; I’ll try to redirect her before she bugs a classmate. If someone is easily distracted, fill me in; I can give him some extra one-on-one time to help him focus on his work. More than once, I’ve had teachers pick their classes up from music, ask how things went and – upon hearing that the kids were a little rowdy – say, with a laugh, “Yeah, they get out of control easily!” Had that information been relayed before we started, I might’ve held off on handing out the maracas and tambourines until we’d established a good rhythm (HAHA). I promise not to pigeonhole anyone; I just want this experience to be successful all the way around, and a little bit of background can make a world of difference. 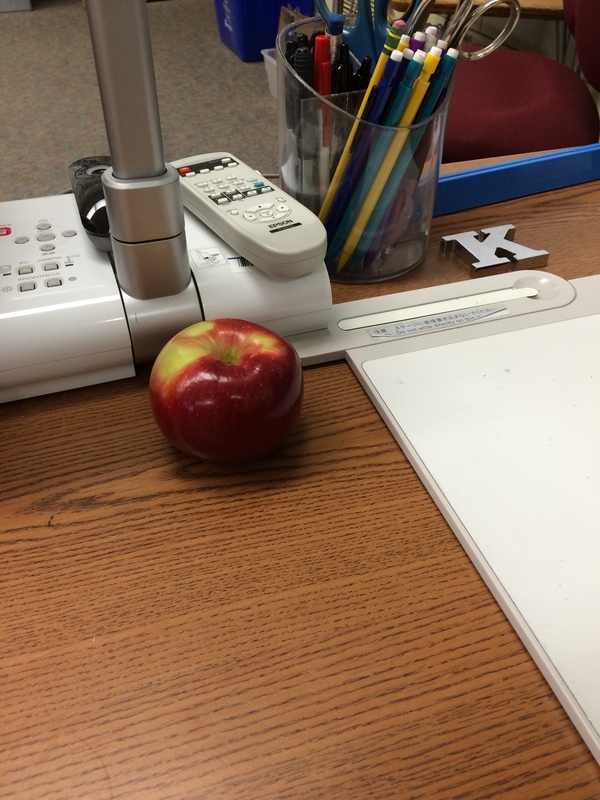 An apple for the teacher: not just a myth. I realize that not all of these apply to every teacher, and obviously no one can be expected to relay every single nuance of their classroom… but if you can at least hit on the highlights so I’m not flying completely blind, I would be ever so grateful. If things go well, maybe you’ll call me back again – which would be awesome, because Mooch was nearly finished with his All About Dolphins poster and I’m dying to see the final masterpiece. Do what you need to do. I got this.